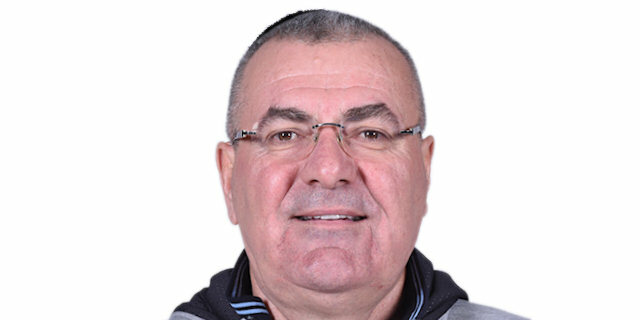 Head Coach Dona Zagreb (1994-95)…Head Coach Cibona Zagreb (1995-97)…Head Coach Tofas Bursa (1997-00)…Head Coach KK Split (2000-01)…Head Coach WKS Slask Wroclaw (October-November 01)…Head Coach Cibona Zagreb (November '01-November '02)…Head Coach Fortitudo Bologna (November '02-2006)…Head Coach Virtus Roma (2006-December'08)...Head Coach Benetton Basket Treviso (January'10-2011)...Head Coach Cibona Zagreb (December'11-2012)...Head Coach CB Malaga (2012-13)...Head Coach Cedevita Zagreb (2013-15)...Head Coach Olimpia Milano (2015-17)...Head Coach BC Buducnost Podgorica (December'18-...). won the 1995-96, 1996-97, 2001-02 and 2011-12 Croatian National Championship with Cibona Zagreb…won the 1998-99 and 1999-00 Turkish National Championship with Tofas Bursa…won the 2004-05 Italian National Championship with Fortitudo Bologna…won the 2013-14 and 2014-15 Croatian National Championship with Cedevita Zagreb...won the 2015-16 Italian National Championship with Olimpia Milano…won the 1996 and 2002 Croatian National Cup with Cibona Zagreb…won the 1999 and 2000 Turkish National Cup with Tofas Bursa…won the 2014 and 2015 Croatian National Cup with Cedevita Zagreb…won the 2016 and 2017 Italian National Cup with Olimpia Milano…won the 2019 Montenegrin National Cup with BC Buducnost Podgorica…won the 1999 President Cup with Tofas Bursa…won the 2016 Italian Super Cup with Olimpia Milano...won the bronze medal at the 1995 European Championship. Assistant Coach Croatian National Team (1995)…Head Coach Croatian National Team (2005, 2007-09, 2012-14)...Head Coach Polish National Team (2011)...Head Coach Bosnia-Herzegovina National Team (2018).